The Olympus M.ZUIKO DIGITAL ED 12-50mm f/3.5-6.3 EZ is the latest kit zoom from Olympus. The equivalent of 24-100mm on 24×36, this 12-50mm is both tropicalized and motorized, and is boxed together with the latest Olympus camera, the OM-D E-M5. While waiting for the DxOMark results for this camera, here are some results for this lens when mounted on a couple of other micro 4/3 cameras — in particular, the Panasonic GH2, whose results in principle should be quite close to those of the OM-D E-M5. People who love zooming in when shooting video will appreciate being able to vary the zoom speed … and how very quiet the motorization is. (The motorization can be deactivated and thus videographers and photographers can have a traditional zoom ring at their disposal, as they prefer). As for image quality, the DxOMark results will give a good idea of what people can expect from this new lens. Right off the bat, we can say that this simply isn’t a bright lens at all — certainly the 12-50mm’s biggest weak point, especially for a lens being sold at the non-negligeable price of $499. Combined with a micro 4/3 sensor — smaller than those for APS-C and full-frame cameras — and you will likely have some difficulty in obtaining high-quality photos in low-light with this lens. Having said all this, let’s look at the standalone lab results for the Olympus M.ZUIKO DIGITAL ED 12-50mm f/3.5-6.3. No surprises here: the DxOMark score of 10 for this lens is comparable to that of other consumer kit lenses. Olympus M.ZUIKO DIGITAL ED 12-50mm f3.5-6.3 EZ vs Panasonic LUMIX G X VARIO PZ 14-42mm / F3.5-5.6 ASPH. / POWER O.I.S., both mounted on a PEN EPL2 vs Nikon 1 NIKKOR VR 10-30mm f/3.5-5.6 mounted on a Nikon 1 V1. Better management of chromatic aberrations. The Olympus M.ZUIKO DIGITAL ED 12-50mm f3.5-6.3 EZ has the same optical quality as Panasonic LUMIX G X VARIO PZ 14-42mm / F3.5-5.6 ASPH. / POWER O.I.S., providing users of micro 4/3 cameras (with their smaller sensors) with a richer array of choices. In addition to tropicalization and a motorized zoom ring for video, this latest Olympus lens shows good control of distortion and vignetting, making it a good choice for adventurous photographers. For other photographers… well, the very nice Panasonic kit lens gives pause: for $100 less, you get slightly better optical performance (especially in terms of resolution) and significantly better compactness. This said, if you prefer using classic focusing rings, you’ll want the Olympus lens, since the Panasonic doesn’t have them. The lens by itself has a length of only 26.8mm and a weight of just 95g — ideal for the general public. It remains to be seen if the optical quality of this oh-so-small zoom is similar to that of classical zoom lenses — something that DxOMark measurements will certainly ascertain. Currently-available compatible cameras include the Panasonic GH2, GX1, and GH1, and also the Olympus PEN EPL2 (with other cameras to eventually arrive on the scene). With a DxOMark overall score of just 10, this 14-42mm is far from any hope of climbing up on the podium with the best lenses on our website. However, its DxOMark score was impacted by a low-light use case that gives a real advantage to full-field sensors and bright lenses, so we honestly were not surprised by these results — after all, this is a kit lens for the general public, so we weren’t expecting any miracles. With a DxOMark overall score of 7, the 10-30mm is not as high-quality a lens as the Panasonic 14-42mm. But the real point of interest in this comparison is that the Panasonic GH2 / Panasonic G X 14-42mm f3.5 combination surpasses the Nikon 1’s low-light score. Two principal factors account for this: better lens resolution, yes, but also a better low-light sensor score for the Panasonic GH2 vs the Nikon 1 V1. For those who have not yet invested in a lens and who would like to have something very small, versatile, and not super-expensive, the Panasonic seems to be a reasonable choice. We do wish, however, that the distortion for this model was better controlled at 14mm. To sum up, the Panasonic LUMIX G X VARIO PZ 14-42mm / F3.5-5.6 ASPH. / POWER O.I.S., mounted on a Panasonis Lumix DMC GH2, achieves scores equivalent to entry-level kit lenses mounted on APS-C-sensor cameras. Obtaining comparable quality with a camera/lens combination that is half the size is certainly not a bad result! All that remains is to see the results for the even smaller Panasonic GF3 or Olympus PEN EPM 1 in order to determine which has the best quality-to-bulkiness ratio. But in any case, this 14-42mm lens is a clear win for Panasonic! Announced in June 2011 at the same time as the Panasonic Lumix DMC GF3, this lens is the equivalent of a 50mm for a 24 x 36mm frame. This lens is a rather high-end lens that is intended for those who want to work without using flash even in low-light conditions. Good resolution and uniformity in the field, even at wide aperture. Relatively good control of distortion and chromatic aberrations. Measurements for other cameras, such as the Olympus PEN EP3, the Olympus PEN EPM1, and the Panasonic Lumix DMC G3 and GF3 will be available soon. With a DxOMark score of 20 on both the Panasonic GH2 and the PEN EPL2, the Leica 25mm f/1.4 achieves very good results, very close to those of the other high-end micro 4/3 lenses reviewed recently. As with the M. Zuiko Digital ED 12mm f/2.0 and the M. Zuiko Digital ED 45mm f/1.8, the sharpness for this lens is what it should be on the GH2 and even on the lower-resolution PEN EPL2. So we expect that its results on an Olympus OM-D EM5 will be similar as well. Very good sharpness, uniform starting at f/2.8 A maximum loss of brightness of 1.2EV in the corners at f/1.4 (but the flaw disappears starting at f/2.8). Good sharpness both in the center and in the field. Good brightness (a T-stop of 1.7 for the Leica and 2.2 for the Zuiko). As for the housing finish, we prefer the Zuiko. The Leica is mostly plastic (except for the metal mount). The verdict is in and cannot be appealed: the 12-point difference in DxOMark score in favor of the Leica 25mm puts it clearly ahead of the Nikon 10mm. As with our review of the Olympus M. Zuiko Digital ED 12mm f/2.0, we regret the lack of lens available on a Nikon 1. Better resolution and uniformity in the field. 2.5 times lighter and much more compact. Our measurements of the Panasonic-Leica lens confirm that micro 4/3 lenses are quality optics, with results at least as good as those for entry-level APS-Cs. Still, pay attention to the autofocus speed — the weak point of hybrid cameras (but a priori showing some improvement with the latest Panasonic and Olympus models). For this lens in particular, the price seems a bit high, so don’t hesitate to take a look at the latest Olympus prime lenses in the same price range (the Olympus M. Zuiko Digital ED 12mm f2.0 and the M. Zuiko Digital ED 45mm f1.8). They have the same optical performance, but a better housing finish. This said, if you want the equivalent of a 50mm lens on your micro 4/3, the Leica is the lens for you — at least for the moment. With the Panasonic Leica DG Macro-Elmarit 45mm F2.8 ASPH OIS, we have a Leica optical design, optical image stabilization (OIS), aspherical glass elements, and all in a very compact lens intended for macro-photography that stays true to the design and spirit of micro 4/3 technology. To provide such impressive specs, Panasonic teamed up with Leica to create a lens with an intricate optical design that features 14 glass elements in 10 groups. By contrast to the Olympic Zuiko 45mm f/1.8, this lens is specifically designed for use as a macro (making it the first micro 4/3 macro lens). The description is enough to make one drool — all the more reason to take a good look at the Leica Elmarit 45mm’s DxOMark test results. Alas, a DxO Mark score of 13 points… isn’t all that great. Vignetting is a bit too noticeable. Against a DxO Mark score of 17 for the Olympus, Panasonic loses the battle of the 45mm lenses, even if the use cases are slightly different for the two lenses. Better correction of distortion (although that of the Olympus is negligeable). Better correction of chromatic aberrations. Another interesting comparison: Panasonic Leica DG Macro-Elmarit 45mm vs ZUIKO DIGITAL ED 50mm f/2.0 Macro (full results for the Olympus 50mm will be available shortly). While less bright than the very good Zuiko 45mm f/1.8, the Leica’s stabilization feature (which we have not evaluated here) should permit some recovery by varying the exposure time. Stabilization is also a real plus in macro mode. Thus this Leica-branded 45mm has certain advantages over the Olympus 45mm. However, those who are looking for a lens with which to take portraits will prefer the Zuiko. After our review of the MZuiko 12mm f/2.0, here is the Olympus M. Zuiko Digital ED 45mm f/1.8, also announced in June 2011. 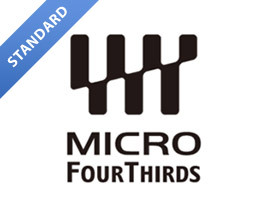 With identical finishes, these are two upscale and very high-quality micro 4/3 lenses. As an ideal lens for portraiture, this bright 45mm (the equivalent of an 85mm lens for a 24x36mm camera) greatly enhances the micro 4/3 lens line. With a DxOMark score of 17, Olympus has once again achieved a great result for such a small sensor format. Very little vignetting, essentially gone at f/2.0. Very good control of chromatic aberrations. The resolution is satisfactory, but astonishingly enough, it is slightly weaker in the center than that of the 12mm. The uniformity is not as good has one might expect from a lens that is the equivalent of an 85mm. Here’s an interesting, if rather daring set of comparisons: How well will this 45mm perform against 85mm lenses on the latest-available full-frame cameras? (Remember that this 45mm is comparably bright.) To get an idea, we offer two such comparisons below. Germane to our analysis is the fact that the 85mm lenses we use here for comparison are among the those with the highest DxOMark scores (along with a few 100mm lenses). Whether Nikon or Canon, globally these lenses are very sharp, with practically no distortion and very well-controlled chromatic aberrations. Is this also the case for the Olympus lens? No surprises here: The results for the 85mm lenses coupled with full-frame cameras are markedly better than those for the 45mm. This said, we point out that the optical performance scores for the Olympus are very similar apart from resolution. Second comparison: Olympus M.Zuiko Digital ED 45 mm f/1.8 vs Canon EF 85mm f/1.8 vs Nikon AF-S 85mm f/1.4G, with the Olympus mounted on a Olympus PEN EPL2, and the 85mm lenses mounted on APS-C cameras (the Canon EOS 7D and the Nikon D7000, respectively). Here the comparison is much more controversial — the scores are almost identical for these three combinations. Brilliant! We have here another very fine and impressive lens, and one that is fully capable of holding its own against APS-C cameras and also against certain full-frame models (for a convincing example, see the results for the Sony 85mm 2.8 on a Sony A900). The results are convincing: in terms of image quality, these micro 4/3 modules are a clear success. Olympus certainly appears to have risen to the challenge of combining compactness with quality!